The five top resource companies to make the list are Largo Resources, Western Uranium & Vanadium, Midas Gold, Corvus Gold and Teranga Gold. OTC Markets Group released its latest OTCQX Best 50 list, which ranks the top-performing companies on the OTCQX Best Marketplace in 2018. The companies, which represent a range of sectors, proved to be exemplary in their one-year total returns and average daily dollar volume growth. In 2018, the Best 50 companies traded an aggregate US$19.3 billion in dollar volume and delivered an average total return of 21 percent to investors. Released on Thursday (January 24), the list includes a number of companies from within the resource sector. Below we run through the top five in order of their appearance on the list. Largo’s Maracás Menchen mine totals 17,690 hectares and is located in the eastern Bahia State of Brazil. The mine is one of the highest-grade vanadium resources in the world and is one of the lowest-cost producers of the battery metal in the market. Last year, the company produced 9,830 tonnes of vanadium, exceeded its midpoint guidance of 9,650 tonnes and had a 6 percent increase from FY 2017. The miner has set its 2019 annual production guidance of between 10,000 tonnes and 11,000 tonnes. Largo listed on the OTCQX on May 29, 2018. The company, which listed on the OTCQX on May 23, 2016, is a near-term producer with uranium and vanadium mines in both Colorado and Utah. At the beginning of October last year, the corporation changed its name from Western Uranium in order to reflect all of its assets. In 2018, Western closed two private placements on July 27 and August 7 and was able to raise gross proceeds of C$1,717,358 and C$1,296,820 respectively. 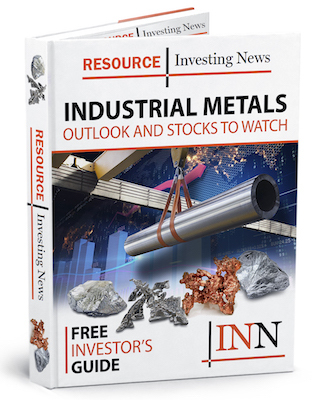 Towards the end of last year, the miner announced that it would be reopening its Sunday mine complex, stating, “increased demand for vanadium in high-strength steel and accelerating battery metal demand for vanadium,” as the reason. Midas owns the Stibnite gold project, which is located in the historic mining district in central Idaho and is the eighth-largest gold reserve in the United States. The asset is set to produce 388,000 ounces of gold a year for the first 4 years. On May 16, 2018, Midas completed a US$38-million strategic investment with Barrick Gold (TSX:ABX,NYSE:GOLD) in order to further fund its Stibnite project. Barrick received 19.9 percent of Midas shares in the deal. The company listed on the OTCQX on October 18, 2013. Corvus Gold is a junior gold exploration and development company whose main focus is the advancement of its 100-percent-owned North Bullfrog project. The project covers 75 square kilometers and represents a large, low-sulfidation, epithermal bulk-tonnage gold system hosted in volcanic and sedimentary rocks. At the end of December 2018, the miner closed a C$2-million private placement with AngloGold Ashanti (JSE:ANG) to expand its exploration programs at both North Bullfrog and its Mother Lode assets. 2019 has seen a focus on exploring the Mother Lode target. Corvus Gold listed on the OTCQX on May 9, 2011. Teranga Gold is a mid-tier gold producer which has garnered more than 1.5 million ounces of gold from its operations in Senegal and 4.1 million ounces of gold reserves from its combined Sabodala gold operations and Wahgnion gold project as of June 30, 2018. The miner reported record gold production of 245,230 ounces for 2018, exceeding the high end of its increased production guidance range of 235,000 ounces to 240,000 ounces for the year. Teranga listed on the OTCQX on December 15, 2017.